The BT-7 Artillery was a fast and mobile infantry support/self-propelled gun version of the ever reliable Soviet BT-7 light or “Cavalry” tank, developed by the design bureau of the Kharkiv Locomotive Factory. These modified BTs were produced from 1936 to 1938 and upgraded again in 1939. 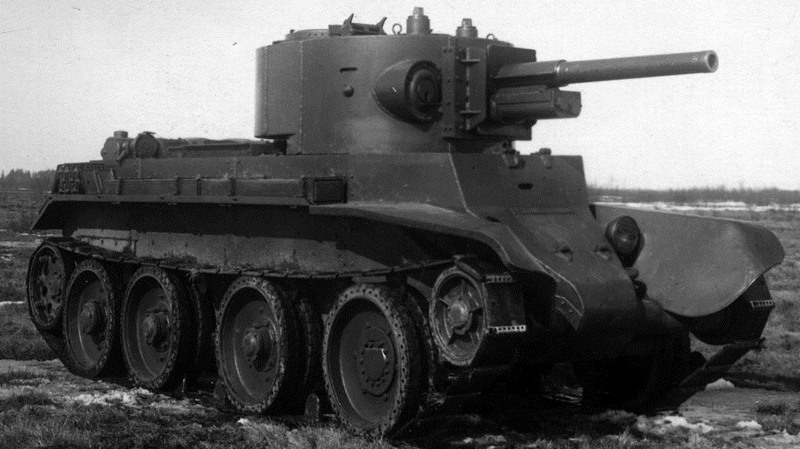 The BT-7 Artillery modification ran parallel with the mass upgrade of the regular BT-7s in 1937, this being the introduction of a better conical turret. The BT-7 Artillery, however, went a step further. The BT-7 Art. being presented to high-ranking officials in 1938. 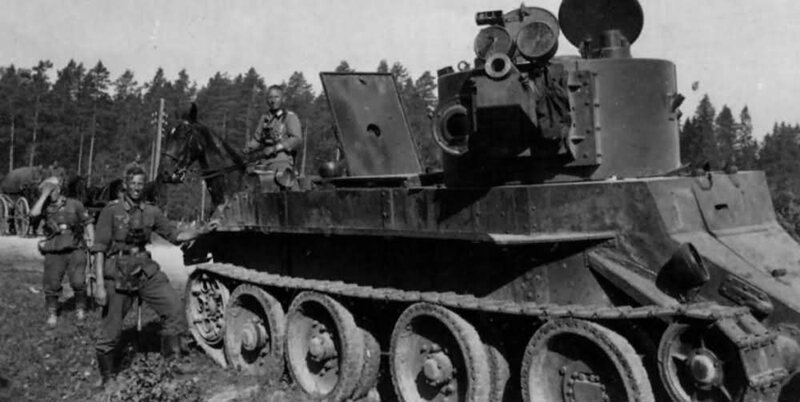 The tank was fitted with a larger T-26-4 drum-like turret, itself adapted from the T-28 medium tank. In this turret, a new 76 mm (3 in) CT short-barrelled howitzer was mounted. 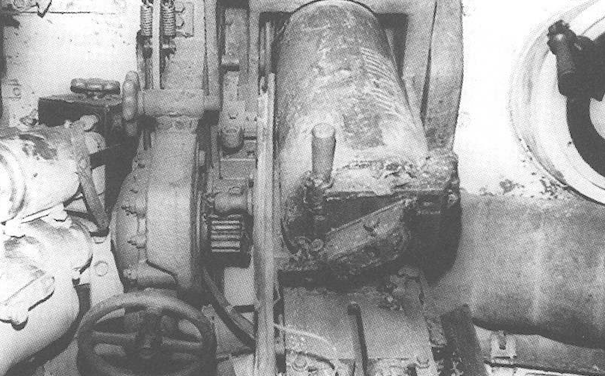 The hull and chassis were also reinforced to take the strain of this new gun. Due to the extra weight, the vehicle was not able to travel in its wheeled mode, a unique feature of the BTs. This new armament was the 76 mm (3 inch) KT-28 short-barrelled howitzer, a weapon derived from the pre-war Model 1927 (M1927) regimental field gun. It was also mounted on the T-28 and T-35 tanks. It was designed to destroy lightly fortified strong points, buildings, artillery batteries, machine gun positions and large bodies of infantry. The tank carried 50 ready rounds of ammunition, the primary being a range of Explosive shells. Including the UO-353M Fragmentation Shell and the High-Explosive UF-353 shell. The CT-28 in its mounting inside the tank. At its maximum elevation of 24 degrees, the gun could arc shells in up to an effective range of 4,200 meters when firing the OF-350 HEF shell, but only 1,000 meters when firing the BP-350M HEAT round. At 200 meters, the shell could penetrate 32 mm (1.25 in). As well as the standard DT (Degtyaryov) 7.62mm machine gun in the turret bustle, the vehicle also mounted 2 more DT 7.62mm machine guns in new locations. A DT 7.62mm machine gun was mounted on the right of the main armament in a ball mounting that was a few degrees off the center line. Another machine gun was placed on the roof in an anti-aircraft mounting for light air defense. Only 155 of these artillery support versions were produced. 11 of the tanks were converted into command versions. These carried the 71-TK-3 radio and was identifiable by the large horseshoe antenna around mounted on the turret. 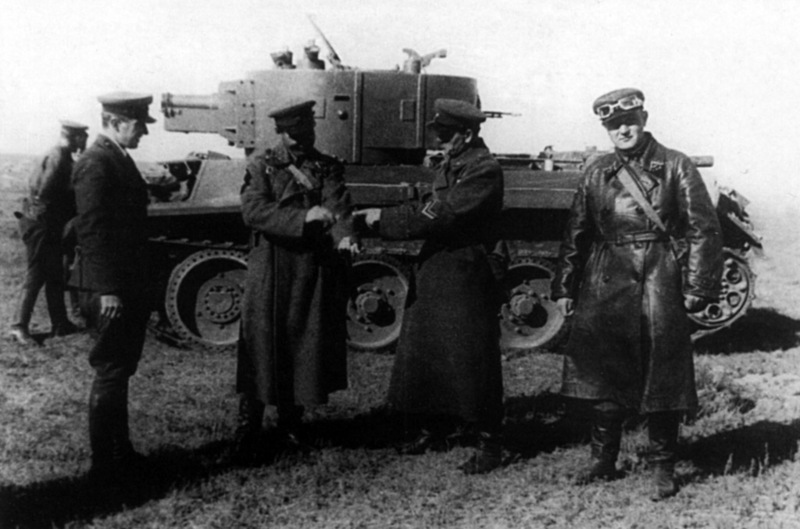 With the addition of the radio, the tank carried 10 shells less than the standard version. The BT-7 Artillery testing the F-32 76 mm gun. A number of the tanks were also tested with a bigger 76 mm gun. This was the F-32 gun designed by the infamous Soviet Weapon designer, Vasily Grabin. 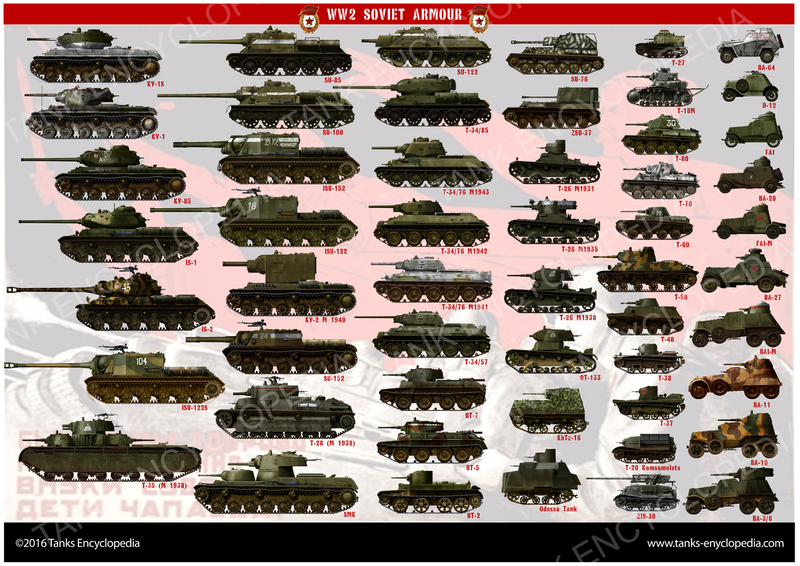 The tanks saw limited service during the early stages of Second World War, or “Great Patriotic War”, as it is known in Russia. The last reported action of the vehicles was in the Kiev district and Moscow in 1941. The tanks were also reportedly used in Manchuria against the Japanese.